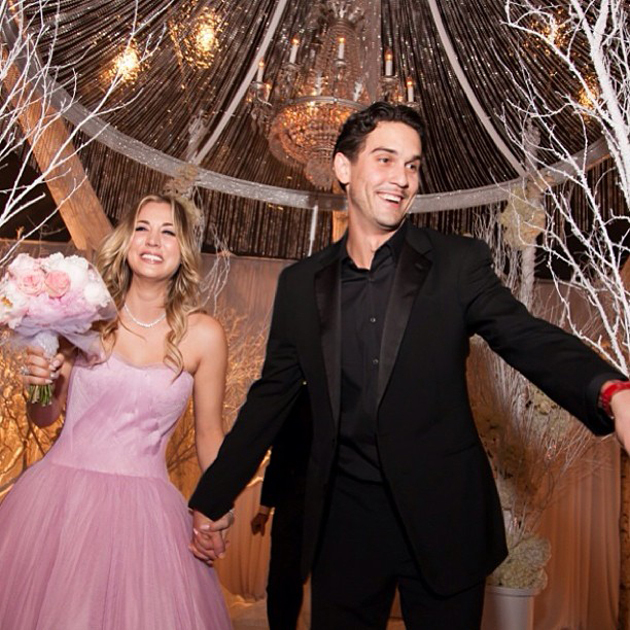 The Big Bang Theory actress, Kaley Cuoco got married to the tennis player Rayan Sweeting in a Fire and Ice themed New Year’s Eve Ceremony at the Hummingbird Nest Ranch in Santa Susana California. 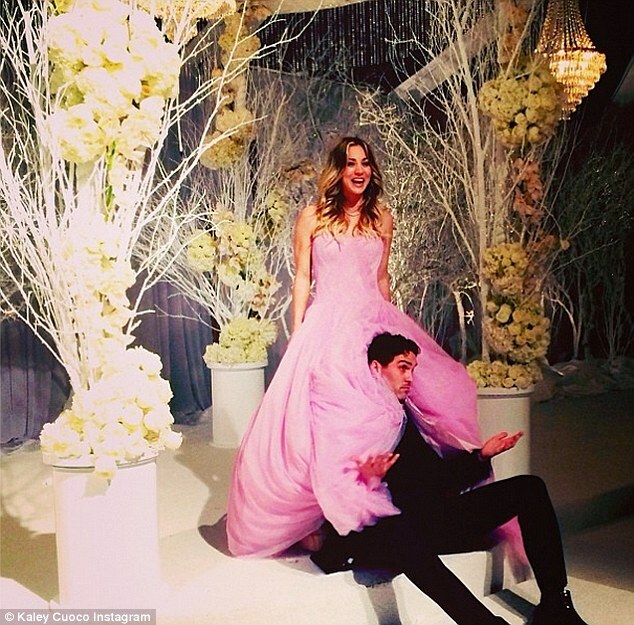 The beautiful 28th year old bride wore a gorgeous strapless pink tulle gown from the latest Vera Wang bridal collection. She complemented her look with a set of stunning diamond necklace, earrings and bracelet. After the ceremony she changed into a short plunging red dress to theme up with the wedding’s fire and ice theme.